​For anybody that is hunting for a Fort Collins landscaping service, then there is a pretty good chance that you are going to have a number of concerns that are playing over and over in your mind. After all, you want to be sure that the company that you hire is not only capable of doing the job in question, but that they can do so in an efficient and professional manner right from the very outset. Of course, if your lawn is a focal point, then you will want to be certain that the care for your lawn is in safe hands. But then, what is the point of having a wonderful looking lawn if everything else around it is not up to the same high standards? That is why the landscaping service from Siesta Lawn Care is designed to further enhance the overall appeal and look of your property. Having beautiful grass is equally as important as hiring an Estates Tree Service for your property. We believe in making sure that everything is as perfect as your lush green lawn as we know that everything should work in tandem resulting in an overall look that is stunning and very pleasant to the eye. We will help to remove any rubbish from your yard, including all of those leaves, and will make sure that each and every bed and plot is as perfect as you would like it to be. Ultimately, we want you to be able to look at your yard and be proud of what you see. Our team is not only highly experienced in what they do, but our level of service goes beyond what you would normally expect from any lawn care or landscaping company. We take the time to really listen to what it is that you need or expect from us, and we then provide you with active solutions that will ultimately resolve whatever it is that is bothering you about your yard. We listen to our clients to make sure that we are able to deliver the landscaping service that they require. We know that you will have some clear ideas of what you expect, and that is what we are then going to deliver each and every time. Furthermore, we do not believe in hitting you with a surprise bill at the end of the job, so everything will be laid out clearly in advance to make sure that you know exactly what to expect right from the very beginning. 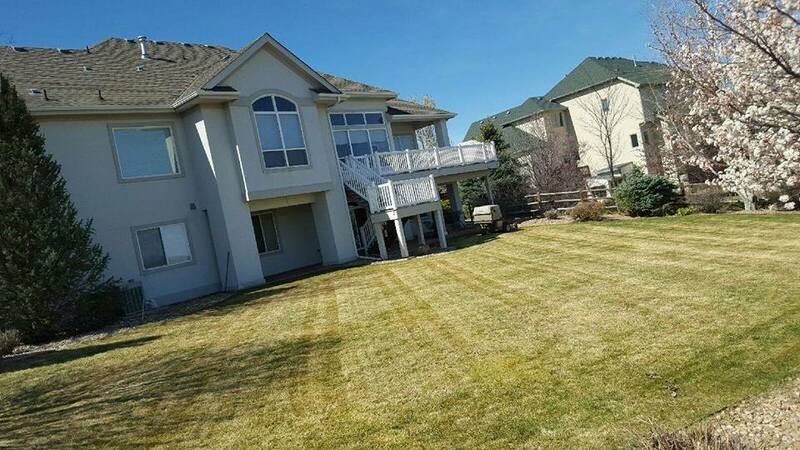 So, if you are looking for a friendly company that can offer landscaping services in Fort Collins, then give us a call and see how we can help. We can assure you that our service is efficient and professional and that you will be more than happy with the end result. Give us a call today and talk to a member of our team.